LPG can be used to fuel a variety of commercial applications, such as heating, cooking, industrial processing, farming, fork lift trucks and providing off the grid mains to holiday parks. Whatever your requirements, from a single LPG cylinder for a catering van to large sites with multiple bulk tank installations, CamGas have an LPG solution for your business. Prompt, reliable service by friendly, competent people makes CamGas your first choice as a local LPG gas supplier. CamGas Butane and Propane can be used for a wide range of heating applications. Portable heaters or industrial space heaters can provide instant heat for your office or workshop. Whilst banks of LPG cylinders or bulk storage tanks can be used to fuel central heating systems and water heaters, or more industrial applications such as furnaces, paint drying ovens or incinerators. LPG fork lift trucks offer low running costs, low emissions to enable indoor or outdoor use, plus quick refuelling so no time is wasted whilst trucks are charging. CamGas provide liquid offtake Propane cylinders for fork lift use in 18kg and 12kg sizes. A cylinder can be changed in minutes and is generally the most convenient and cost-effective way to refuel your truck. For large users we offer a 'milk run' service, where we call weekly on a set day and replace any empty cylinders you have used with full ones. This eliminates the need to reorder and avoiding costly run outs. Alternatively, it may be viable to have a bulk storage tank with refuelling facilities which can reduce costs and the number of cylinders required to be stored onsite. 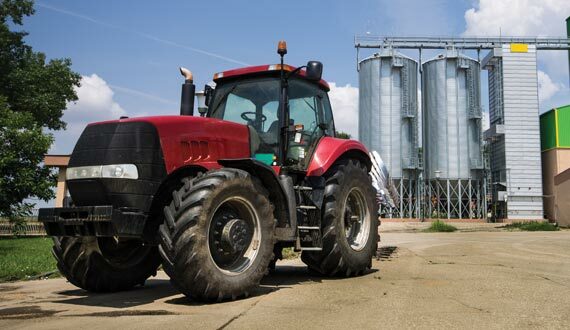 LPG provides cleaner, greener energy for farmers for a multitude of applications. Propane is commonly used to maintain constant temperatures in greenhouse heating, in addition to powering grain drying and crop burning. LPG is also effective at providing a constant heat during poultry and game rearing season or for machinery such as, generators, lawn mowers and even quad bikes.